Budapest, a 1,000-year-old city that is considered one of the most beautiful in all Europe, has over time been home to the Romans, the Mongols, the Magyars, the Turks, and the Habsburgs. Budapest is also home to Hungary’s most unusual relic: the severed, mummified hand of Stephen I. 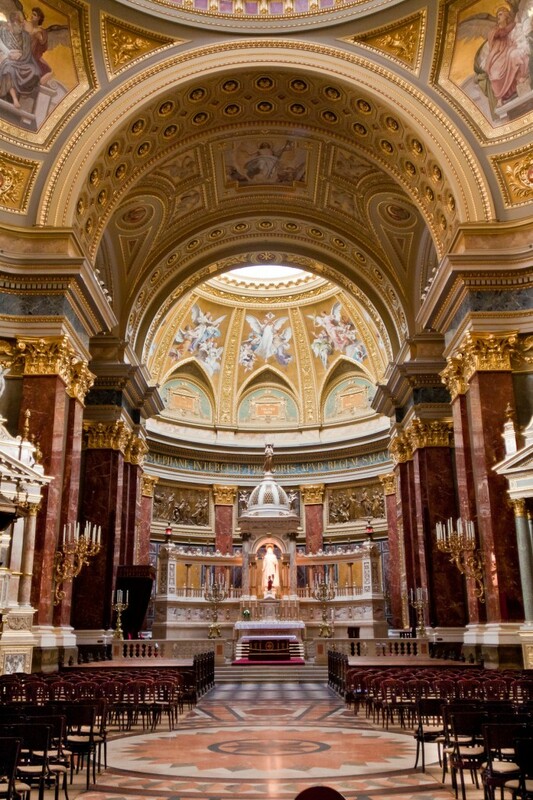 In order to see this unusual relic, you’ll need to visit the most important church in Hungary: St. Stephen’s Basilica in central Pest. 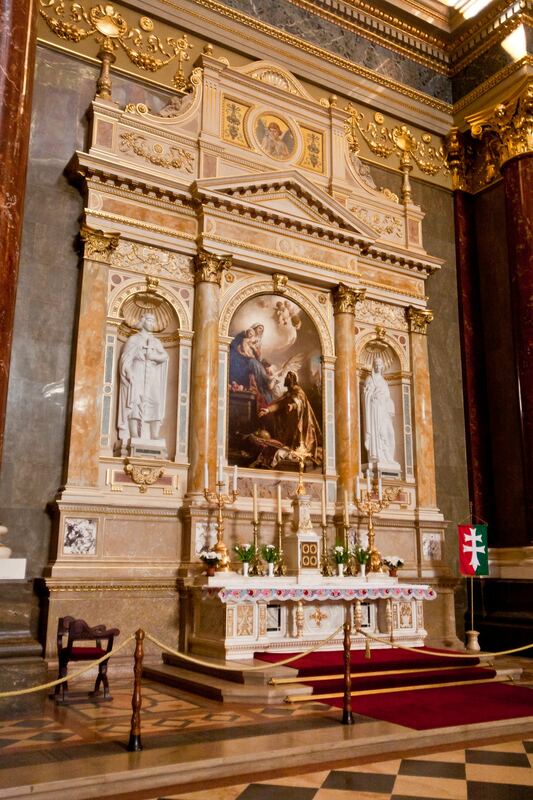 The basilica is dedicated in honor of Stephen (or István), the first Hungarian Christian King and a popular saint in Hungary. Spend some time admiring the Neo-Classical architecture, the detailed mosaic work on the interior of the dome, and the famous painting of St. Stephen by Gyula Benczúr. Before you leave the basilica, be sure to access the dome by elevator or by climbing the 364 stairs for magnificent and unhindered 360° views of Budapest. 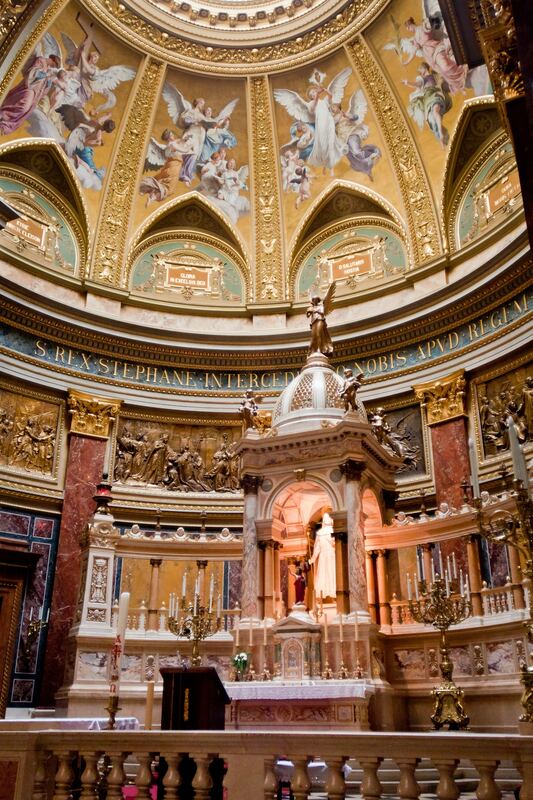 To the left of the Main Alter is access to the Chapel of the Holy Right Hand. 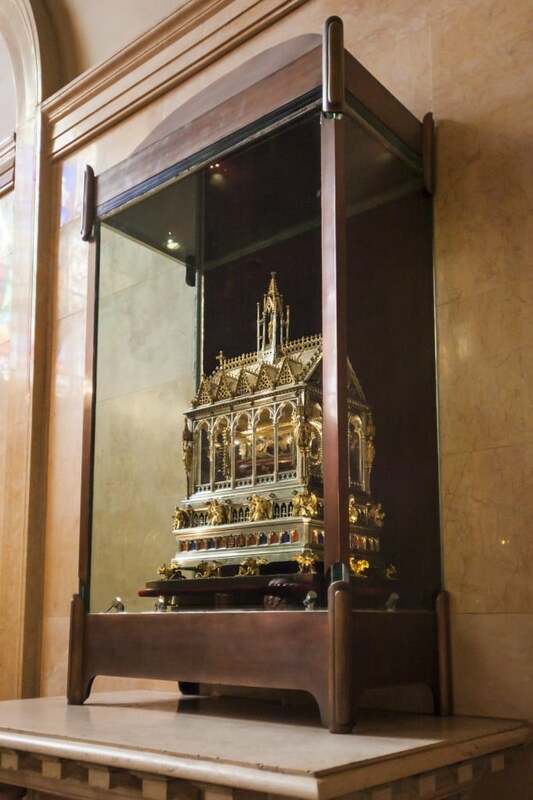 At the far end, entombed in a gilded glass case, you’ll find the venerated right hand of St. Stephen in all its shriveled glory. Apparently St. Stephen’s right hand was found miraculously preserved when his tomb was opened 45 years after his death. The hand became the subject of a cult and was has been kept in various places throughout Eastern Europe until is was placed in St. Stephen’s Basilica in 1950. On your way out of the basilica, be sure to access the dome by elevator or by climbing the 364 stairs for magnificent and unhindered 360° views of Budapest.